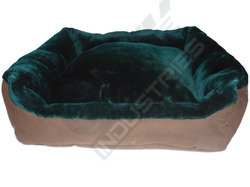 With the years of experience in this domain, we are capable of providing Pet Sofa Bed. This bed is manufactured from qualitative range of raw materials. It is offered in variety of designs, shapes, sizes and colors. Our assortment of bed available at market leading prices. - Skid-proof, comfortable surface texture is soothing to both dogs and handlers. - Ultra-light only 3.7kg (8.2lbs), allowing junior handlers to transport their own ringside tables. - Aluminum, long lasting; the perfect product for dog shows. - Increase efficiency in work. 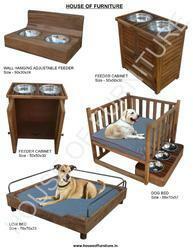 Organic cotton and recycled content ultra comfy pet beds for dogs and cats. We also have a variety of pet feeders made from reclaimed and recycled products.